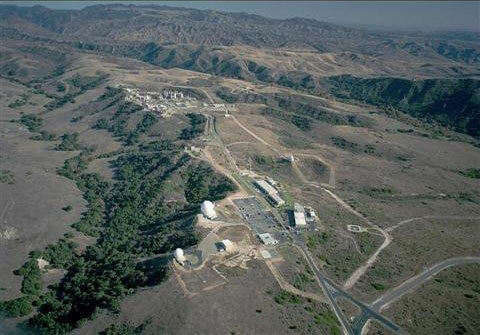 Capistrano Test Site was a remote, 2,700 acre R&D complex in the hills at the edge of Camp Pendleton, operated by Northrop Grumman Aerospace Systems. Founded in 1963 for development of the Apollo Lunar Module Descent Engine, the Capistrano Test Site conducted over 50,000 tests on space propulsion, directed energy and advanced energy projects from organizations including the National Air and Space Administration (NASA), the Missile Defense Administration (MDA), the U.S. Navy, Army and Air Force, the Department of Energy and commercial customers. A news clipping from a local publication (source unknown). 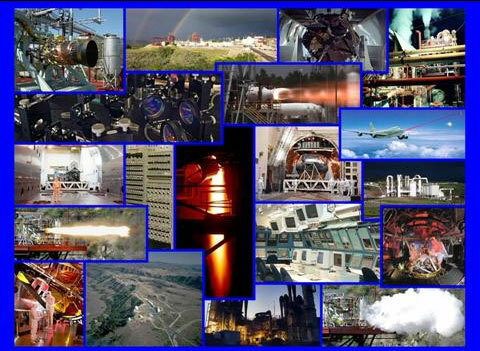 Mike created this collage of important CTS history using released photos. It is used on site systems for welcome screens and screen savers. 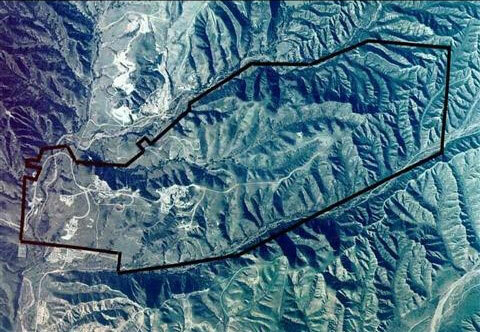 The black line outlines the 2700 acres of CTS in southern Orange County, just north of Camp Pendleton. Administration and support buildings are in the foreground. Test stands are in the distance. This is the Alpha facility. 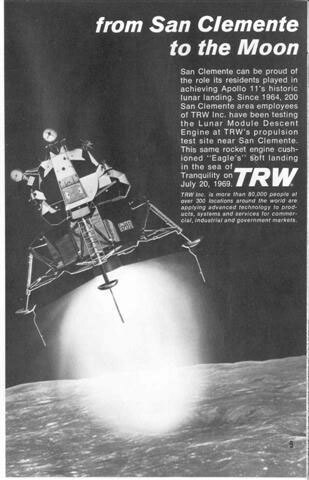 The lower area in the foreground was originally built for Lunar Module Decent Engine (LMDE) development. This is the Russian “scientist” tour in the late 80’s. Our security crew says they were mainly KGB agents with only a few scientists. Note the nervous smiles. 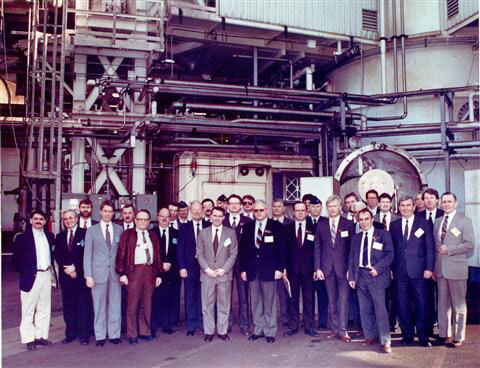 They had just seen the functional Space-Based Laser in the Alpha facility behind them. When the Berlin wall came down, they picked 3 US sites to visit, and the US got to pick 3 in the USSR. The Capistrano Test Site was that important. The Alpha facility at dawn. This housed Ronald Reagan’s primary Star Wars component: the Space-Based Laser. The mission was to target and destroy hostile ICBMs in the launch phase over enemy territory. The laser was developed and proven to work in this building. 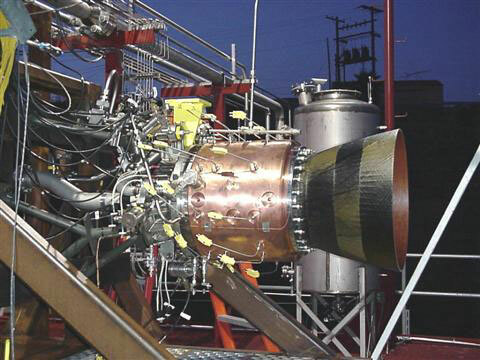 A large booster engine is shown here mounted on an outdoor horizontal test stand for sea level testing. 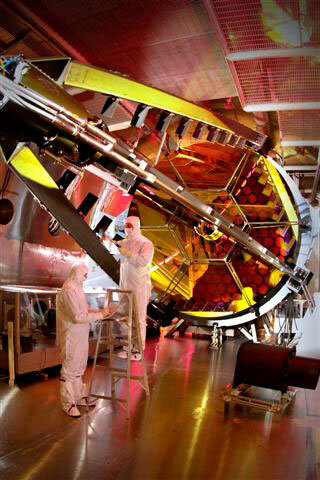 The Alpha Space-Based Laser mirror inside the 42,300 cubic foot mailbox-shaped vacuum chamber. Limited demolition of unused CTS facilities began in 2008. 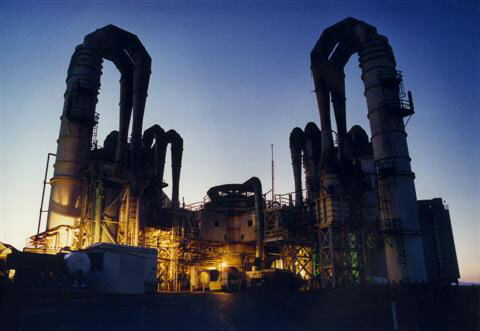 Full scale demolition began after the last engine hot-fire in December 2009. All demolition was completed and the gate closed for the last time at the end of December 2010. This is a photo of CTS near the end of demolition. 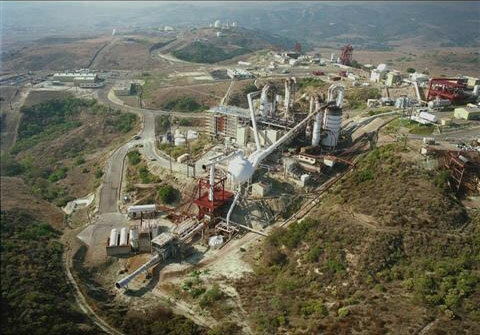 It was taken from 2 miles away at the top of Avenida La Pata.